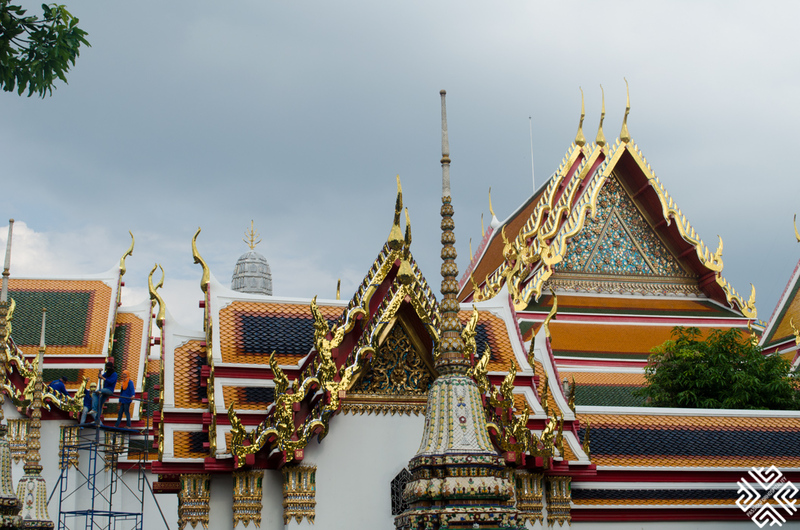 The official name of this first on the list of the six temples in Bangkok is Wat Phra Chetuphon Vimolmangklararm Rajwaramahaviharn, for short Wat Pho. 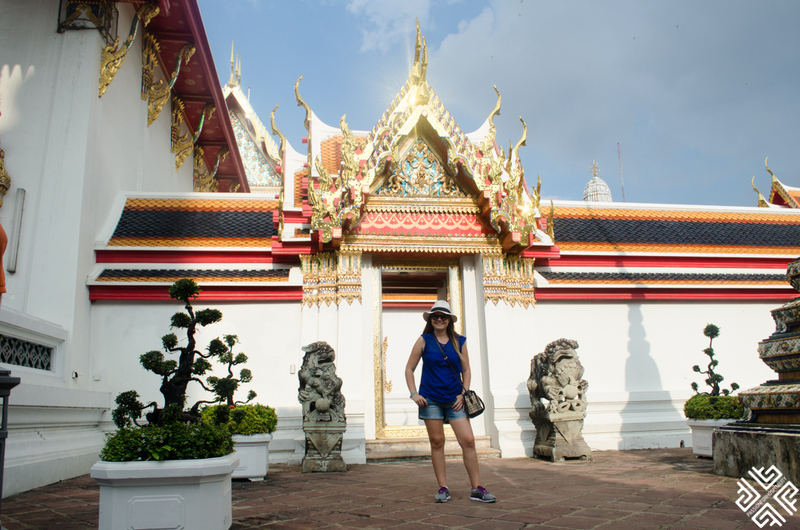 It was built by the King Rama I and was one of his favourite temples, some of his ashes are enshrined here. 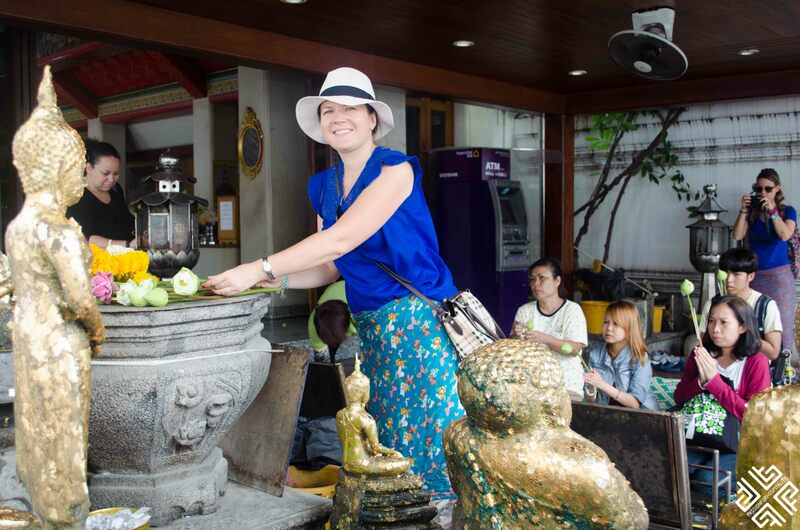 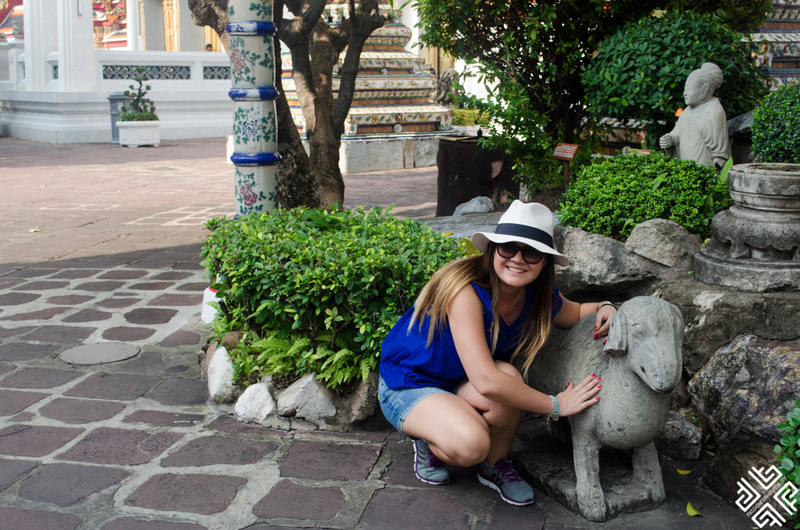 At the entrance of Wat Pho there is a designated place were you can make offerings to Buddha. 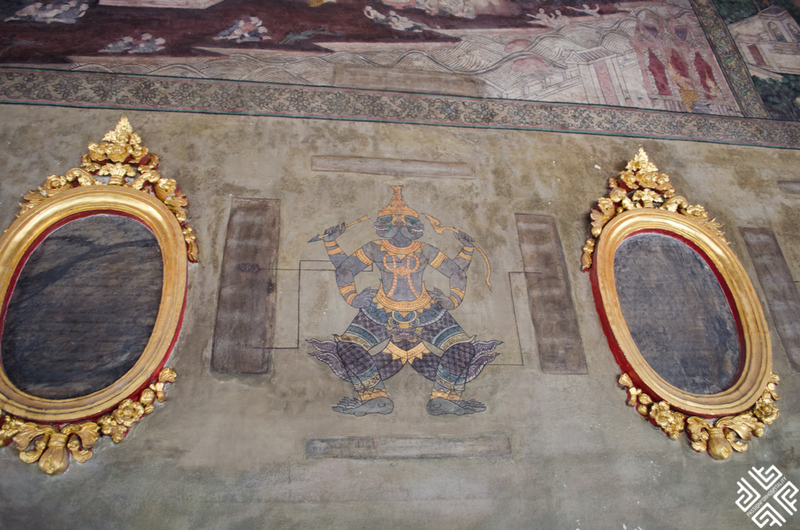 I participated in a similar procedure at the Grande Palace which you can read about here. 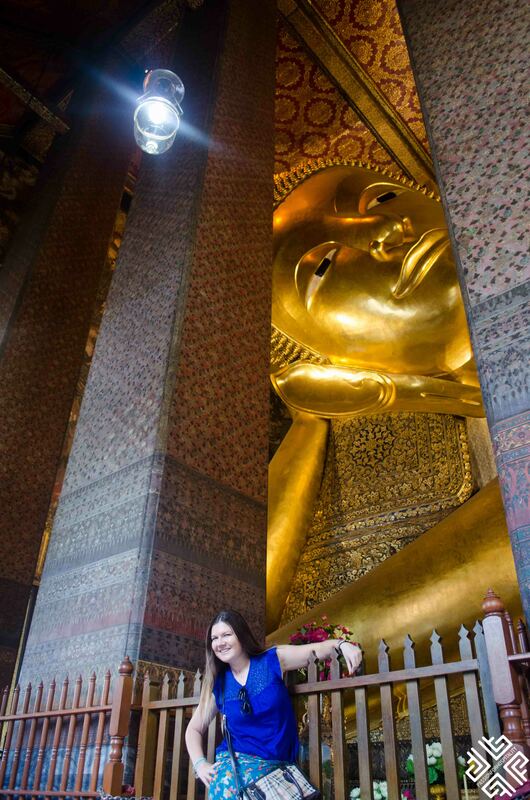 The temple is also home to the 46 m long reclining Buddha and this is why some refer to the temple as The Temple of Reclining Buddha. 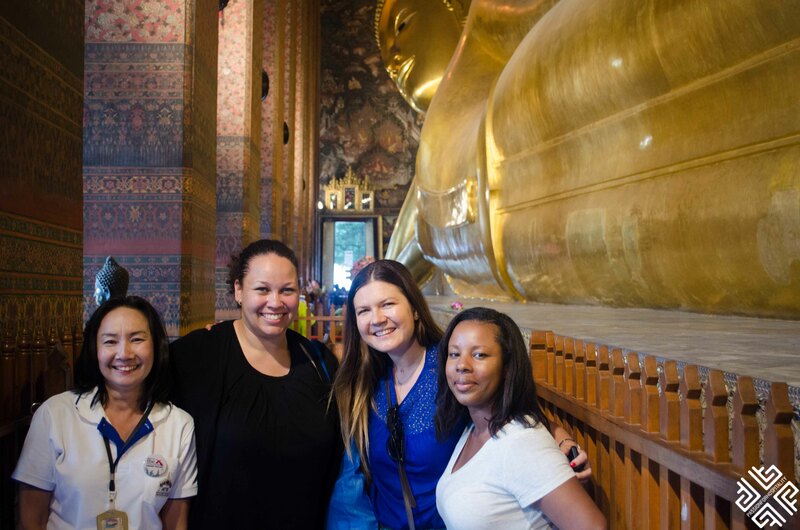 Inside the temple of the reclining Buddha there is a corridor that stretches along the length of the statue, here visitors will find 108 bronze bowls which represent the 108 auspicious characters of Buddha. 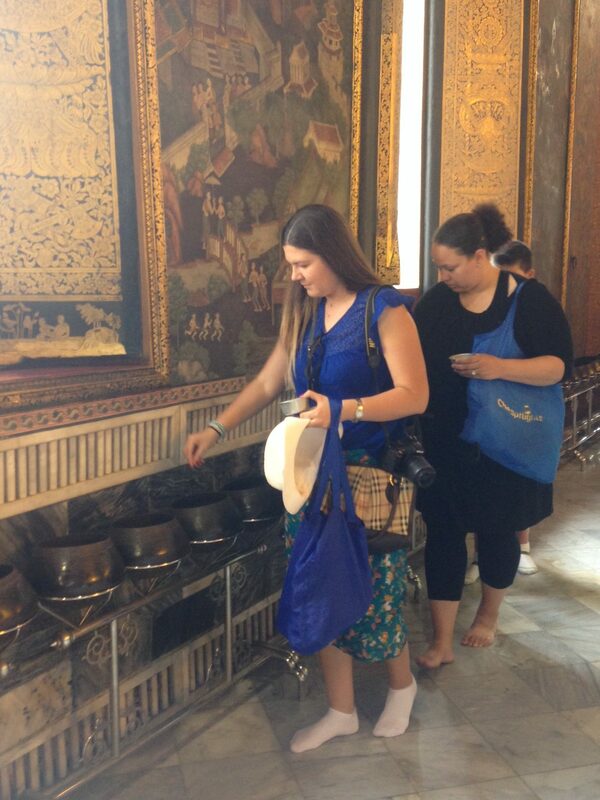 By throwing a coin in each of the bowls symbolizes good fortune and also helps the monks to maintain the wat. 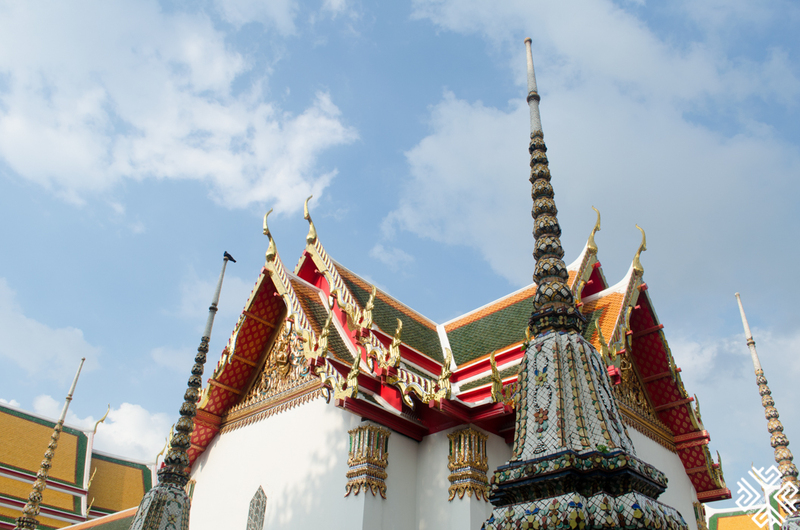 The temple is also known to be the first public university of Thailand and it is here that the school for traditional medicine and Thai massage was established in 1955. 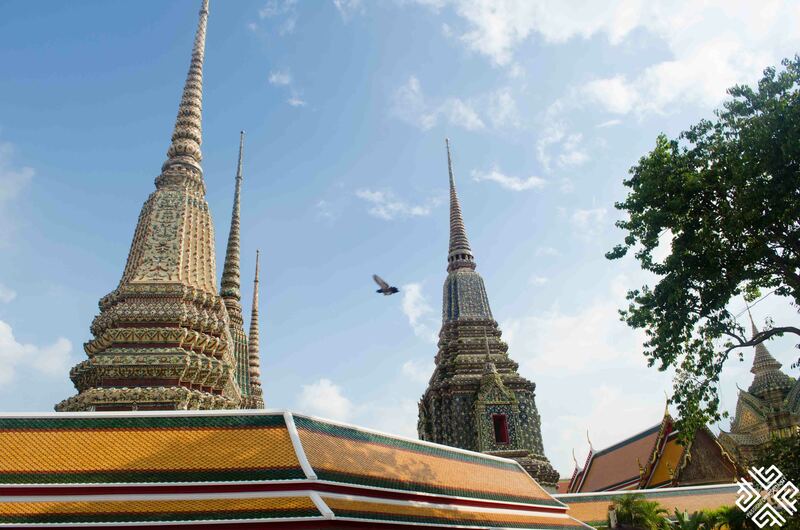 The Wat Pho remains to be the national headquarters and the center of education of traditional Thai medicine and massage to this day and courses on Thai massage are held here on an annual basis. 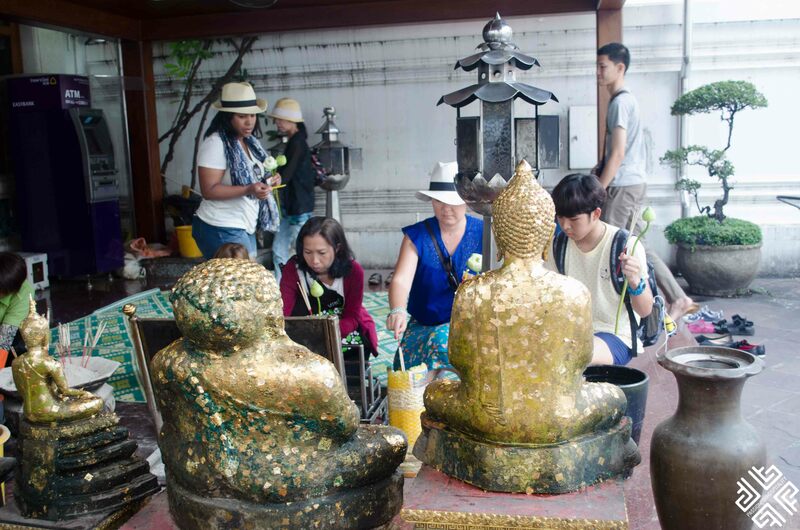 There is a separate pavilion which displays medical illustrations which serve as an instruction for Thai massage therapists. 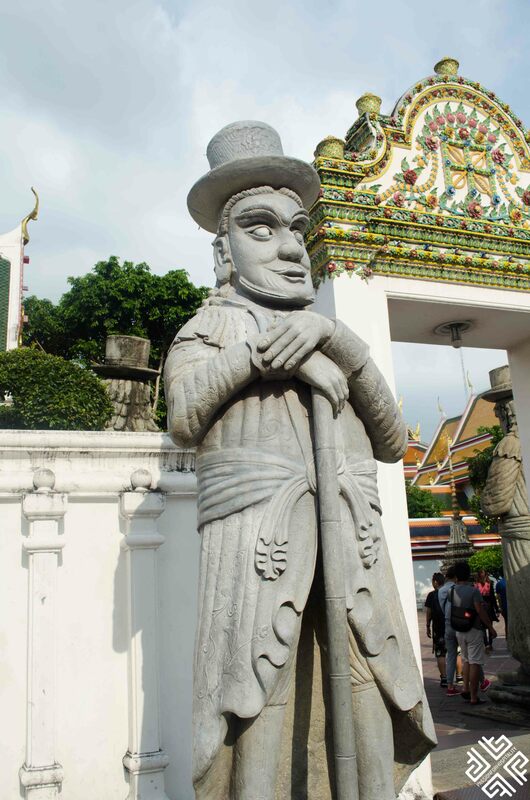 On the grounds around the complex you will also see some statues showing methods of massage and yoga positions. 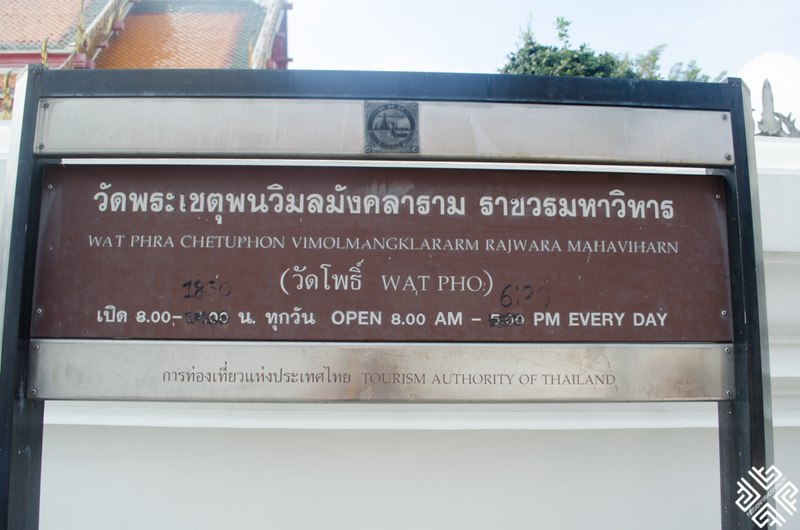 The temple is open from 8:00 am until 17:00 /18:30 as it has been corrected with the marker. 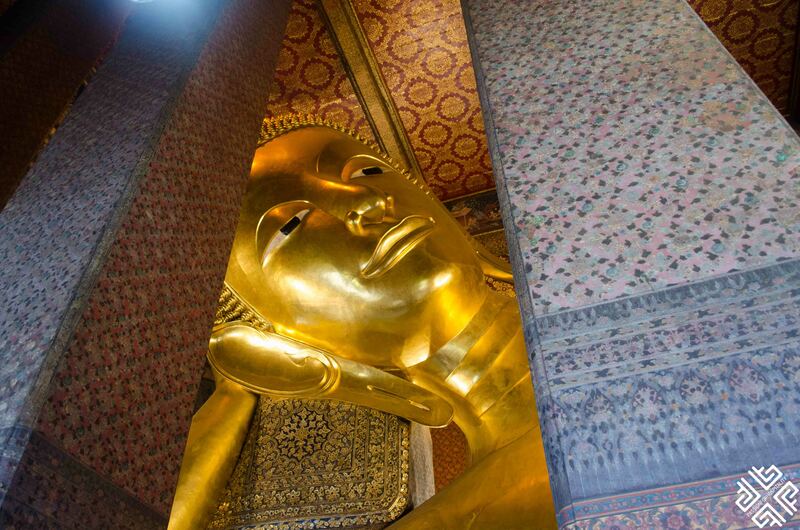 Check it out before you visit. 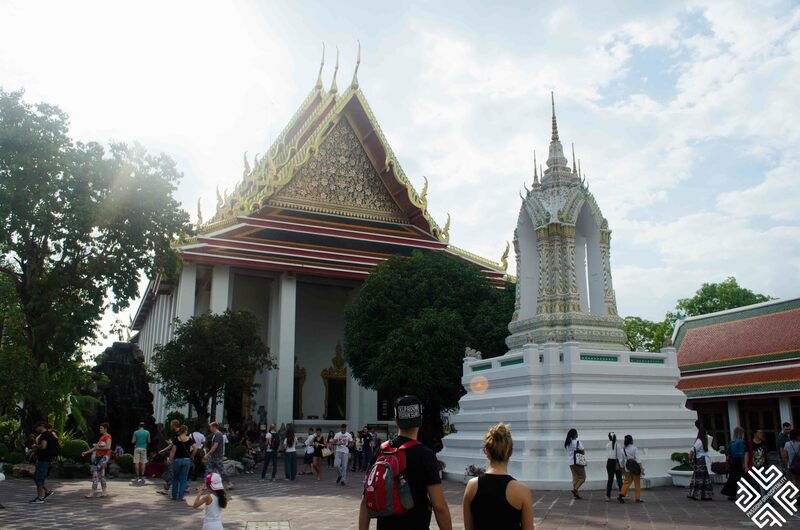 The gardens are open during the evening but all the temples and pavilions are closed off to the public. 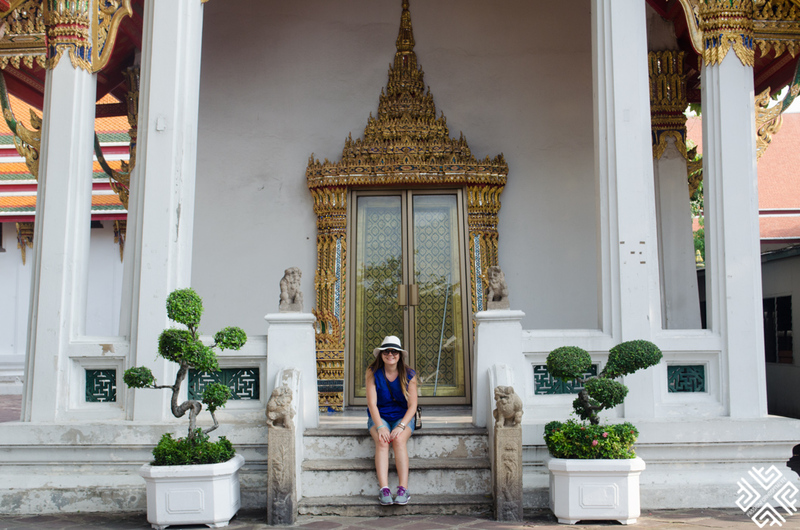 If you are visiting with kids here is what you need to know. 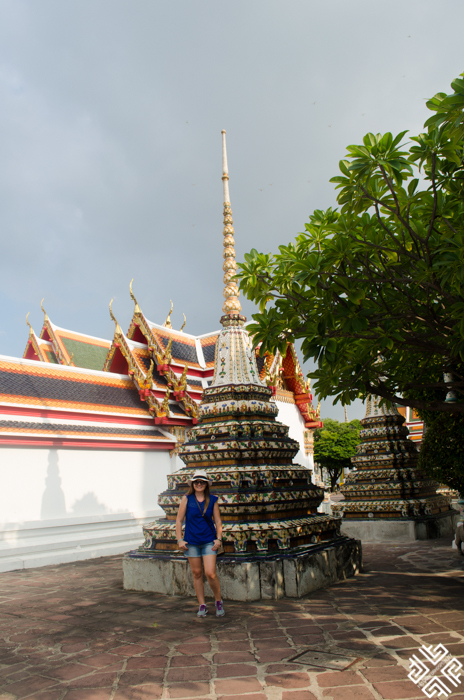 If you are planning on visiting Bangkok, make sure to visit the Wat Pho – The Temple of Reclining Buddha. 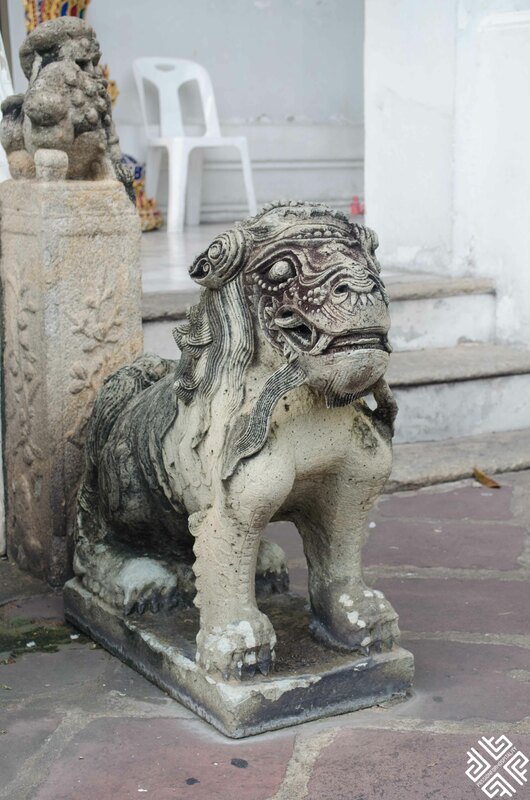 If you have been there, what did you like about it most?